Since it’s winter, now is the time for farmers and the communities who support them to organize. 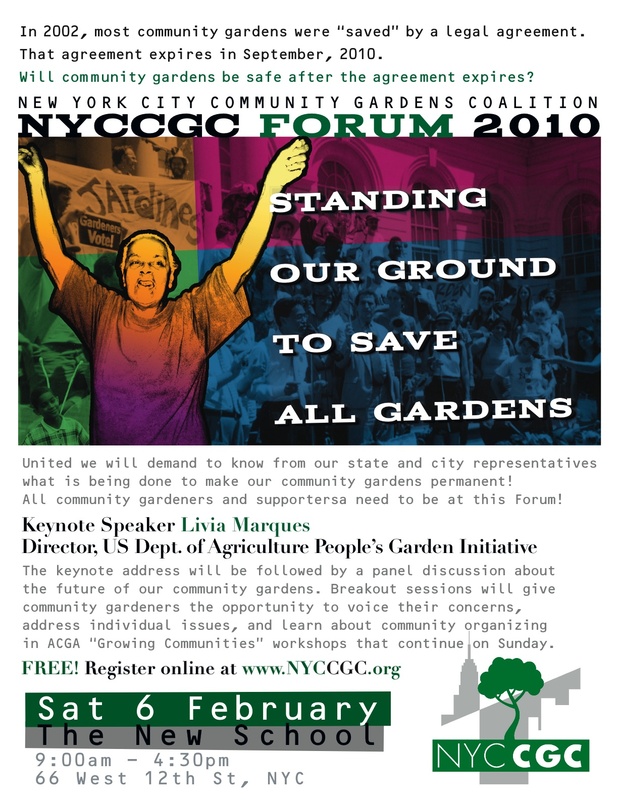 If you live in New York City and are thinking about joining a CSA (Community Supported Agriculture), Just Food is hosting a wonderful (I went last year) conference on Saturday, March 5, from 8:30am – 6:30pm at the Food and Finace High School, 525 West 50th Street (between 10th & 11th Avenues), NYC. You can register for the conference at Just Food. 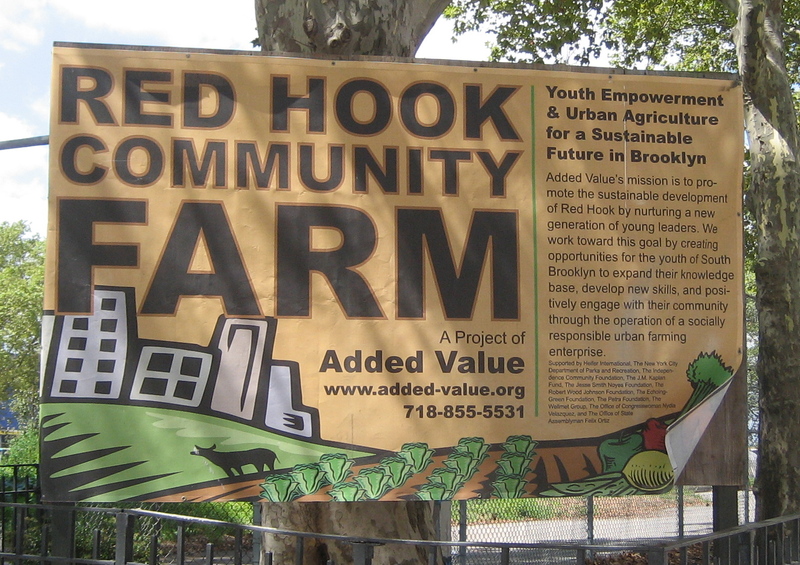 Wassaic Community Farm located in Wassaic, New York is a third year small farm project with a mission to address food justice issues in the South Bronx and locally in Wassaic. We have a quarter acre raised bed garden and a 3 acre plot within walking distance of a train line to NYC. We grown mixed vegetables and herbs using organic and permaculture techniques. 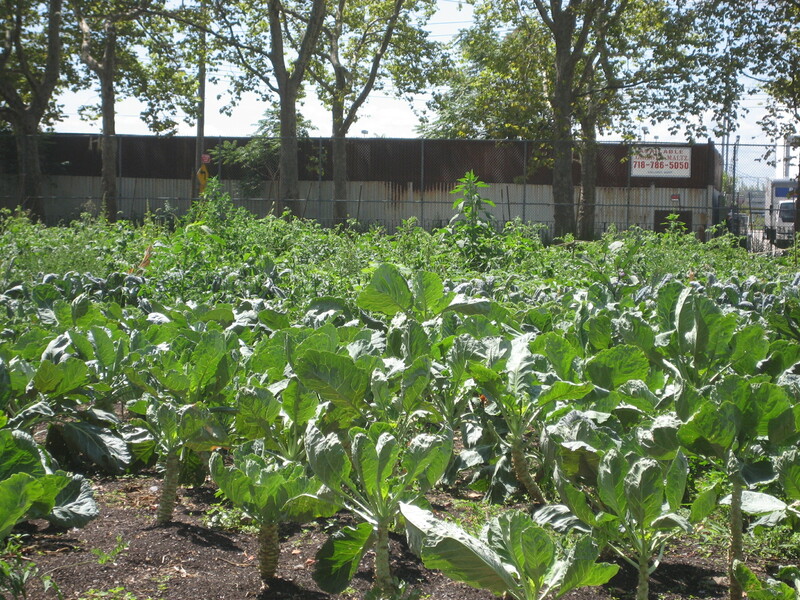 We run a farmers market out of Padre Plaza, a community garden in the Bronx. This year, we are offering a Weekly Share CSA program, as well as developing an educational program for youth. You may contact us through benature@onebox.com or betseymccall@gmail.com to learn more about all of our programs. In 2002, most community gardens were saved by a legal agreement which expires in September, 2010. Will community gardens be safe after the agreement expires? Okay, I hope to write more about this next weekend, but I did want to go ahead and write a little bit about my first day of working on the farm in Red Hook, Brooklyn. I just signed up for a work share which means if I work two hours every Saturday, then I get to take home a full share’s worth of vegetables, fruit, and eggs. A pretty rewarding amount of food for a few hours of work. My day began at ten in the morning composting with Jeff and another volunteer. The other volunteer and I raked layers of compost materials, sawdust, and chicken manure in the compost pile. The smell was brutal and unrelenting and stuck with me for a full 24 hours. I think I was being hazed on my first day at the farm. I wasn’t ready to give up yet and even decided that the next Saturday I would bring home my own two and a half gallon compost bucket and give this composting thing a shot. I will just have to keep in mind to use food scraps like banana peels, orange rinds, egg shells, coffee grinds, and the like. After composting (which I actually really enjoyed except for the smell), it was off to weeding with a few other volunteers. Once I got started pulling weeds on a row of collard greens and kale, it was tough to stop, and I stuck it out the whole way down the row. It felt good to be in the dirt and working hard on the farm. If I had been paying attention, I might have noticed my t-shirt not meeting my shorts in the middle of the very hot summer day. I was too busy chatting and weeding and thinking about picking up my CSA bounty at the end of my shift. At the end of the day, I took home my fabulous share of eggplant, beets, collard greens, corn, cherry tomatoes, basil, edamame, jalapenos, garlic, peaches, and apricots. (I also took home a nice strip of sunburn on my back which I didn’t notice until hours later when I was too tired to care.) I’ll get to take home eggs next week.